At Weldtite they’ve been making superb bicycle cleaning & lubrication products for decades. 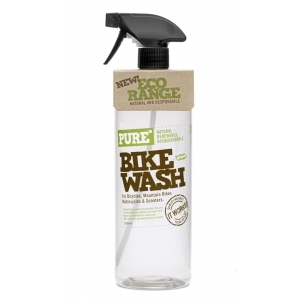 After a great deal of hard work by their development team, they’ve been able to make a range that is a real alternative to ‘traditional’ cleaners & lubes AND it’s totally environmentally friendly. So if the way you treat the environment is as important to you as the way you treat your bike. Server Time: 19/04/2019 08:52:47, Render Time: 0.011 seconds.